Amazon or CD Baby, Which is Better for CD Sales? It’s true. Amazon is one of the largest online retailers in the world, with an ambitious goal to eventually sell everything that can be bought. So what does that mean for you, the independent musician? Does it make sense for you to sell your CDs on Amazon? How does CD Baby match up? Well, let’s take a look. First we should point out that CD Baby clients can already sell their music on Amazon since CD Baby distributes through Amazon. But, you may want to list your CD with Amazon directly without a middleman. Amazon Advantage offers you the ability to sell physical CDs directly. We will explain why this is important. Amazon boasted 244 million users as of January 2016, of which approximately 54 million are prime members. (Prime members get free 2 day shipping on most items). Amazon has processed up to five hundred orders per second, and sales volume is about $290 million per day. Most of the sales volume has to do with a wide variety of physical and digital products, music being one of them. Sales growth in the last 5 years has tripled with no end in sight. In terms of your music’s availability and exposure, this could be a big opportunity for you. Amazon features various ways for musicians to sell music – and we do mean various. In this review we are going to focus on Amazon Advantage – the service that Amazon offers directly to musicians and other creative types for the sale of their physical products like CDs and DVDs. The unique part of the Amazon offer is you do not have to submit your music through a third party to get listed on Amazon. In fact Amazon has a simple user friendly application process that you can complete on-line. Check out the link at the end of this article. Amazon also offers digital download, but the real opportunity to generate meaningful income for independent musicians is selling full albums. Digital download platforms skew very heavily towards the purchase of singles, not albums. In effect, fans might like your music well enough to purchase it but when they are offered the opportunity to purchase one song rather than an album they most often choose to purchase one song. An artist makes 8-10 times as much money on the sale of an album rather than a single, and your fans get exposure to more of your music. In other words, album sales result in better marketing and better income. CD Baby is focused on musicians without all of the other non-artist related products. This allows CD Baby to concentrate all of their efforts in this one arena and the result is a variety of tools specifically designed for artists such as digital distribution of your music through iTunes, Spotify, and YouTube. If you are primarily interested in digital distribution then CD Baby is a good choice. They also do an acceptable job of selling CDs when musicians refer fans to their personal CD Baby page directly. They are one of a few companies that offer both digital and CD distribution along with competitive up front pricing and a relatively low 9% participation fee to sell your digital download products. Please be aware that the 9% fee is in addition to the fees charged by the partner reseller. CD Baby does a good job with traffic on their site probably due to the 300,000+ albums that they have signed up. More albums means more traffic, but it is unlikely that the average music fan will visit the website searching for music by artists unless they are searching for an artist they already know. If you are uncertain about this point, ask the next 10 people you meet how they buy music. I suspect you will not hear anyone say CD Baby. By the way, CD Baby could become a site where fans search for music, but the search and recommendation functions need to improve. Fans choosing an artist on their site do not get recommendations to view similarly styled artists offering music for sale. Instead CD Baby displays artists from the same geographic area as the artist fans are choosing. For example, if a fan is on the Shaun Murphy page they can click on a link for “More Artists from Tennessee”. Not a very effective recommendation tool for most fans. Amazon Advantage is a consignment service that benefits self-published artists. In some ways it is similar to CD Baby’s retail store. To use Amazon Advantage you must first have a physical product (i.e. CD or DVD) to sell, among other things, and your product is required to have a barcode – ISBN, UPC, or EAN. Amazon also requires that you have Internet access and an email address, which shouldn’t be a problem – unless of course you’re reading this article on a printed hard copy your great-grandson gave you and you don’t have an email address. Amazon has an approval process for new accounts (not everyone gets approved). But if your content is good and you meet minimum guidelines you should have no trouble getting approved. Once you’ve created an Advantage account, paid your $99 annual membership fee, and established that you have the rights to sell the music on your album, Amazon will “order” from you. The $99 fee is charged once per year for an unlimited number of submissions, so you can submit as few as one song or 100 albums, either way the total fee is just $99. This is significantly different from other services that charge you a fee based on the number of songs or albums you submit. If you intend to submit a single song or just one album the $99 charge is quite high, but if you have at least two albums for sale the expense is per album is much better. In the end it’s all about sales volume. The only way to make money on music is to sell it, without exposure and sales the upfront fees will always be too expensive, regardless of which platform you choose to distribute your music. CD Baby also has an approval process for new accounts but virtually everyone gets approved. CD Baby makes a distinction between submission of albums and individual songs. CD Baby charges $9.95 per single or $49 per album as a one time up front charge per submission, you do not have to pay annually. This is great if you intend to submit one album or song, but multiple submissions in a year can become quite expensive. CD Baby does offer a discount structure if you are going to submit several different selections. Both Amazon and CD Baby will request CDs to keep in their inventory and sell/distribute them as fans order CDs. Both will reorder from you weekly, depending on sales volume, assuming fans are ordering your music and the inventory of CDs is becoming depleted. Once Amazon receives your CDs, fans can search for your music on Amazon and the CD will show up, just like the toilet paper and running shoes they search for now. When fans purchase your CD, Amazon ships the CD and records the sale on your account. 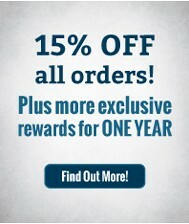 Every month your sales are totaled and Amazon pays you for your portion of the sale. In other words, you can expect to get paid on a monthly basis. CD Baby works much the same way, but they pay weekly in most cases. Your music is searchable on the CD Baby site just like Amazon. On Amazon, you set the retail price for your CD, and Amazon charges you 55% of that amount as a fee for selling your CD, so keep this in mind when creating the list price. If your retail price is too high your CD will not sell, and Amazon does reserve the right to sell your CD at the price of their choosing, but don’t worry, your profit remains the same. For example, if the retail price for your CD is $12 and it sells for $12 your income is $5.40. If Amazon chooses to lower the retail price to $10 in an effort to stimulate sales, you still receive $5.40. Ultimately if Amazon cannot sell your CDs at a price that allows them to make a reasonable margin they will return them to you and remove them from the site. 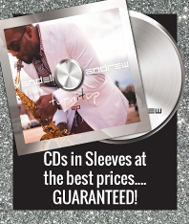 CD Baby charges a flat fee of $4 to sell your physical CD on the CD Baby site. This approach is different than Amazon since it is a flat fee and not tied to the sales price. CD Baby will not change the retail price you set for your CD. If you were to sell your CD for $12 on CD Baby you would take home $8, which is better than Amazon at first glance. On CD Baby, since your fans will also have to pay for shipping, your overall share of the income can be much less than it is on Amazon. And your fans will not be as happy because they have to pay for shipping. Shipping can easily cost more than the CD itself, so this is no small consideration. One way your fan can avoid the shipping fee from CD Baby is by purchasing 3 CDs on one order. But fans may become frustrated with the free shipping offer if they cannot find 3 CDs they want to buy and abandon the purchase all together. You can also choose to have CD Baby sell your CD through Amazon or one of their other distributors, but the numbers do not look as good for you when this happens, more on that later. If Amazon cannot sell some of your music they will return the title that is not moving to you at your expense (shipping and handling). If you have 8 titles that are selling well and one that is not selling at all, Amazon will still keep the 8 titles in stock and continue to sell them. CD Baby does not generally return merchandise that does not sell because you paid CD Baby an up front fee of $49 for every CD you sent to them as an incentive to list your CD for sale (and provide other digital services). If CD Baby returned your CD for lack of sales they would also have to refund the $49 you paid them to sell that specific CD, which of course would impact their profitability. It’s the difference between offering to sell an unlimited number of items for a single higher fee (Amazon) or charging a fee every time an item submitted (CD Baby). Of course CD Baby is also listing your music on partner resellers, which is part of what you paid them for, so returning your money would mean that these services would also stop. This will not happen with CD Baby. Marketing Your Music, Who does a Better Job? Through the Advantage program, Amazon does a good job of marketing on your behalf. That means they will recommend your music to possible listeners – i.e. “People who bought this product also like …” and “frequently bought together…” While this by itself is not unique, (other vendors also offer to help market your music), Amazon is the only provider which sells physical CDs that has the attention of 244 million customers. No one else comes close. This is a significant advantage for artists who list with Amazon. CD Baby also helps to market your CD on their site, but differently than Amazon. For example, CD Baby will allow a fan to select other musicians that live in the same area as the artist being viewed. A fan can also choose from a selection of sub genre’s by clicking on a link, but your CD will not be suggested to a fan even if your music is similarly styled to an artist the fan has already added to their shopping cart. The best way to find your music on CD Baby is to type in your name. The biggest Pro for CD Baby is all of the additional digital services and tools they offer to musicians, which you can still take advantage of without listing your CD for sale on their site. Trying to compare their marketing reach to Amazon’s is almost unfair. Both Amazon and CD Baby will stock your CDs in their warehouse. This is nice because order processing and distribution can take a lot of time and effort. Amazon and CD Baby also deal with things like sales taxes. Again, these services can save you the headache of keeping up with taxes and shipping, especially if you don’t have an account with major shipping company. Amazon Prime members get their purchases shipped for free. This is huge because Amazon has 54 million Prime members. Check out the math. If a fan purchases a CD from your account on CD Baby, they will be charged from $3.69 to $11.00 for shipping ($3.69 for ground, $11 for 2 day shipping). All Amazon Prime members get 2 day shipping for free as part of their Prime subscription. While no portion of the shipping charges are billed to you the artist, on CD Baby your fan will have to pay for all of the shipping charges. In effect, this increases the cost to purchase your CD and may deter fans from completing the sale. CD Baby does offer fans free ground shipping (it costs $0.01) if they order 3 CDs at a time. As a point of comparison, iTunes typically charges artists 40% (including distributor fees) just for a digital download, and iTunes tends to sell more singles than it does albums, so you end up with just $0.60 for each single sold. Not much money, but arguably better than streaming services like YouTube, Spotify, and Pandora which pay almost nothing. What, You Don’t Want It? Amazon and CD Baby both handle returns, which would never happen to you. Who would return your music? But, if some rando didn’t like what they got, Amazon will eat the cost of the returned product and the return shipping. In other words your account will not be charged for the lost sale or the shipping. Amazon will resell the CD to your next fan and of course you will not get credit for that sale since it is then coming out of the Amazon inventory, not yours. CD Baby will charge your account for returned product and require the fan pay for shipping to return the item. CD Baby then returns the CD to your available inventory for sale. Every program has a weakness. For example, if you deal solely with digital files, Amazon Advantage is not for you. 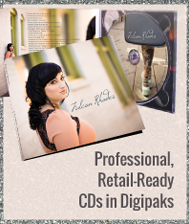 And, if you want to sell both hard copy CDs and digital files you have to deal with two different programs. But selling the right product through the correct distributor can make a big difference in your take home pay. Up front fees can be a problem. What if no one buys your stuff? You’re out $99 bucks with Amazon and $49 with CD Baby (for a full CD). But who are we kidding, that’s not you. Of course your stuff will sell…. Fees for sales through retail partners can also add up. Make sure you know what the real story is when agreeing to sell your product, you might be surprised by how little you make. The fine print. Differences in Amazon and CD Baby. Important things you should know. Amazon features a large number of headliner artists. For example, if you were to look at the top 10 selling artists on Billboard, Amazon usually has all 10 on their site ready for purchase. Amazon also features independent musicians. CD Baby is a little different. Of the top ten, CD Baby would most likely will not have any of them. Most headliner artists are looking for a bigger platform to sell their music and Amazon fits the bill. This is one of the reasons that Amazon sells more music. (little known fact – Amazon is the second largest seller of MP3 downloads next to iTunes, and Amazon is still growing in this area – iTunes is not). The significance of this difference is simple but important, fans searching for songs they have heard on the radio do not go to places like CD Baby, but they do go to Amazon. It is hard to be ‘discovered’ by a fan that might be interested in your music if that fan never visits the site where your music is offered. As an artist you get more exposure from a site that has more music traffic with good marketing and search features. You can choose to deal with Amazon Advantage directly, or you can pay someone else to deal with Amazon on your behalf, but be wary, the costs go way up unless you go direct. CD Baby will sign your CDs up to sell on partner distributors like Super D, Amazon, and Alliance. All of these partners have their own fee structures so when a partner sells your CD the partner takes out their fees first (in the case of Amazon the fee is 55%*) and then CD Baby also charges a fee of $4 per sale on top of the partner fees. If you choose to go direct with Amazon Advantage the charge is 55% of the sale as a fee. No additional charges, but you must sign up with Amazon directly, not through another distributor. Example: Lets suppose you sell a physical CD for $10.00. The first column represents the retail price of the CD and income made by the artist if sold by Amazon thru CD Baby. The second column represents the retail price of the CD and income to the artist if sold by Amazon Advantage directly. The third column represents a sale made on the CD Baby site. 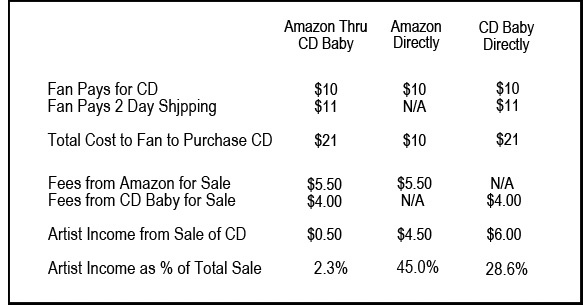 The purchase of your CD through CD Baby/Amazon costs your fan $21 and the artist gets 50 cents (not good). The sale of your CD through Amazon Advantage without CD Baby costs your fan $10 and you get $4.50. The sale of your CD through CD Baby without Amazon costs your fan $21 and you get $6.00 (assuming 2 day shipping in all cases) The chart shows that the musician makes the most money going through CD Baby if the CD will be sold on the CD Baby site, but it also shows that the fan has to pay an additional $11 in shipping so that the artist can make $1.50. These numbers change depending on the shipping option chosen by the fan, but we chose 2 day shipping because Amazon offers it for free and fans always want your music quickly. In fact, the speed of delivery might make a big difference in whether the fan makes a purchase or not. There is a pretty remarkable difference in pricing for both the fan and the artist depending on distributor used, so pick wisely. Amazon has two options for free shipping to customers. As we mentioned before, 54 million Amazon customers are Prime customers, so they get free 2 day shipping. CD Baby charges between $3.69 and $19.14 for shipping depending on where the CD is going and how fast the customer wants their CD. 2 day shipping on my test order was $10.99. This is significant because CD Baby customers who purchase your CD for say $10 would also have to pay an additional 37% to 120% to have it shipped to them. Amazon customers can make the same purchase for $10 and still have it delivered in 2 days for free. Another thing to consider is returned merchandise shipping. Amazon prime is free if the product did not meet the customer’s expectations, CD Baby, on the other hand, requires the customer to pay return shipping. Exposure is everything. Amazon exposes your CD to more fans than anyone else, and if your fan is already on Amazon, you’re making it easy for them to find your music. You could combine the sales exposure of the top 10 independent digital music stores and they would not add up to the exposure you achieve on Amazon Advantage. Plus, Amazon will look at your fans previous purchase’s and recommend music to their taste. 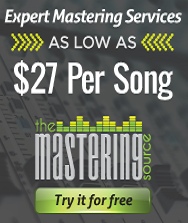 And, with Amazon credits they can get your music on the cheap without you taking the hit. In addition, Amazon is the best experience for your fans, free shipping is hard to compete with – and why not offer it to them? Free returns can also motivate fans to “give your music a try” because returns are painless. Sell through will improve considerably for these two reasons alone. CD Baby is a great option if you want the other services they offer like distribution through partner resellers and sales widgets for your website. You could choose CD Baby for all of these services, but still use Amazon Advantage to sell your CD. Or you might decide that digital distribution is not all it’s crackup up to be and choose another route, like selling downloads yourself on your own website. > Which site benefits your fans the most? > Which site is better at marketing your music? > Which site has more exposure for your music? > How many albums will you be listing? > How are returns handled when a fan chooses not to keep your CD? > What fees are you charged for each sale (including partners)? > Have we mentioned FREE shipping? * We tried to get a definitive answer from CD Baby about the charges on a CD sold by Amazon through CD Baby. We were told that Amazon charges what they charge and CD Baby then charges an additional $4 for every CD sold. CD Baby would not confirm the actual charges by Amazon. In our example we use 55% because this is what Amazon says it charges for the sale of a CD. It would be helpful if CD Baby were a little more transparent about these details. Some numbers are rounded for simplicity.